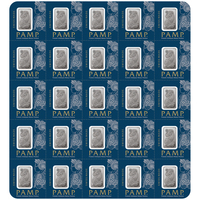 The 100 grams (g), or 3.22 ounces (oz), platinum ingot PAMP Suisse Fortuna is one of the best selling ingots on the market. The Lady Fortuna remains the best-selling and most popular investment product in the world. 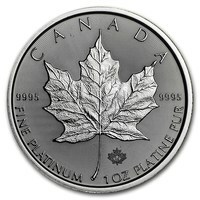 Platinum is often considered a good first purchase. 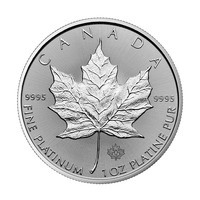 The price of platinum is not as high as for other precious metals and can be obtained with a smaller budget. However, the investment opportunity is just as profitable. Lady Fortuna, the Roman goddess of prosperity, luck, and fortune is displayed on the obverse side of the bullion. She is represented veiled with a wheel of fortune, and a cornucopia, which spreads the richness of her extended hands. On the reverse of the ingot, we have important information displayed such as the unique serial number, the weight of the platinum ingot and the purity. Please handle your platinum ingot carefully. We strongly recommend using gloves when handling to avoid getting dirty or fingerprints. 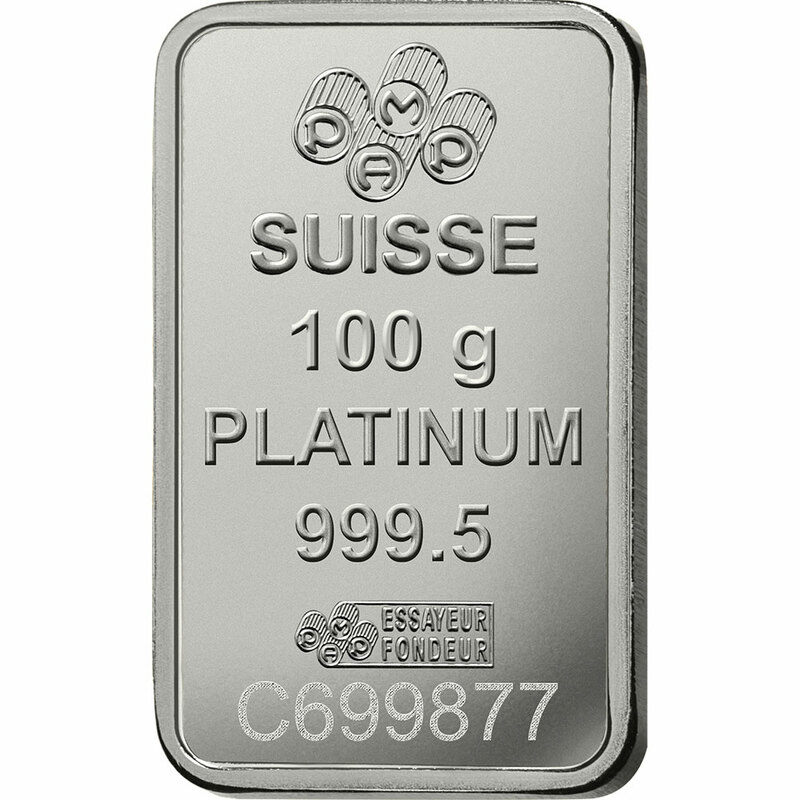 We also recommend that you store the PAMP Suisse platinum ingot in a presentation box or display. This will give your platinum precious metal a unique style as well as extra protection. 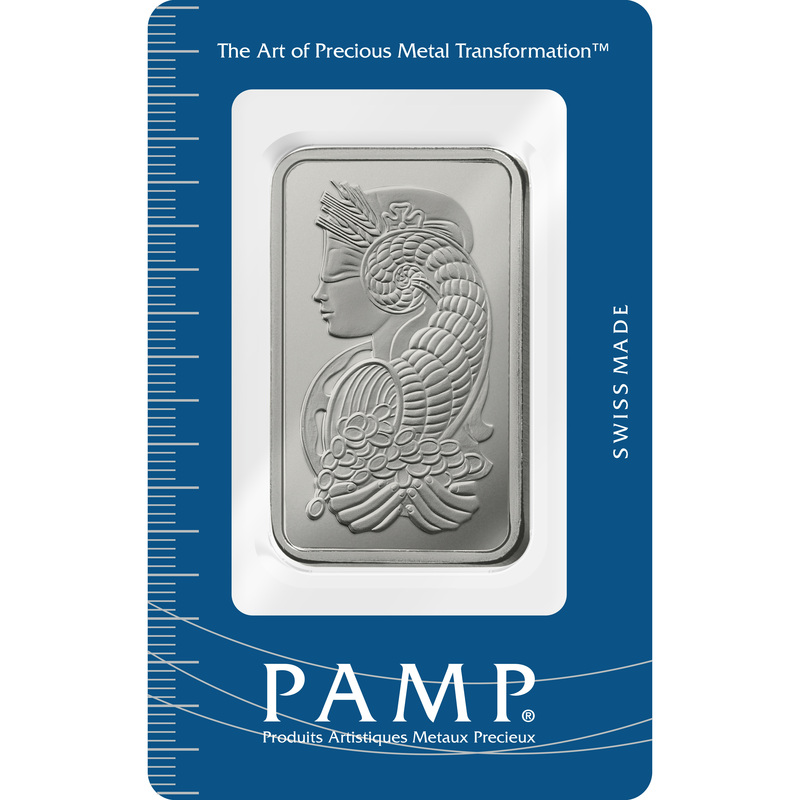 PAMP Suisse is the world's largest manufacturer of precious metals and refining, producing the most prestigious ingots on the market. They were the first to put designs on their precious metal bullion. The first design ever represented on an ingot is none other than the Lady Fortuna. 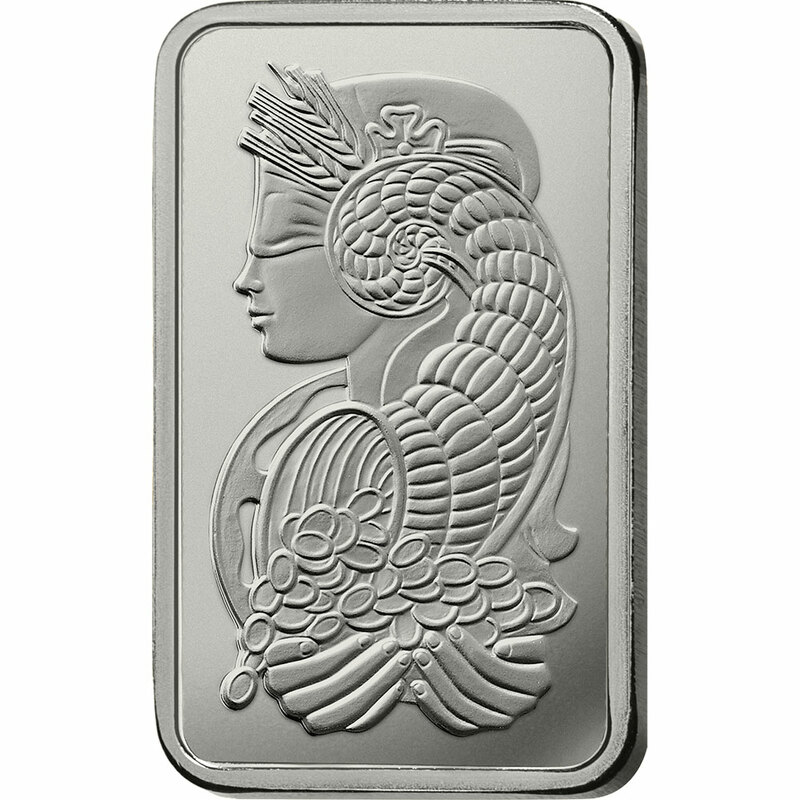 This 100g platinum ingot Fortuna, produced by PAMP Suisse, is graciously decorated with Lady Fortuna - the Roman goddess of luck and good prosperity. Jupiter's daughter is represented veiled, with her personal attributes: the cornucopia and the wheel of fortune. It is the symbol of prosperity and wealth. This popular design is a timeless classic.